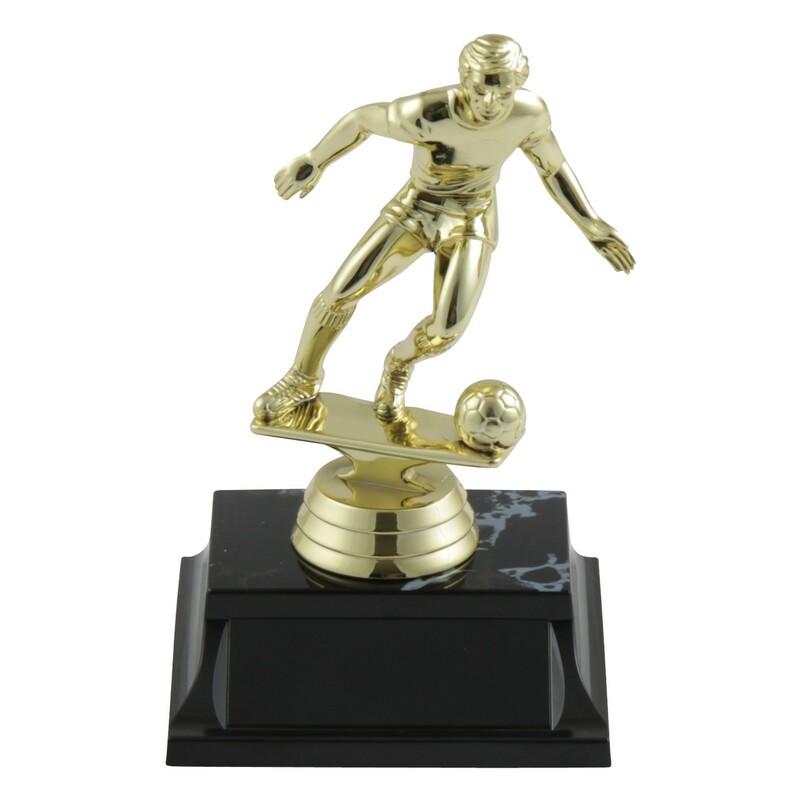 Honor an outstanding soccer player with this Dribbling Soccer Trophy. 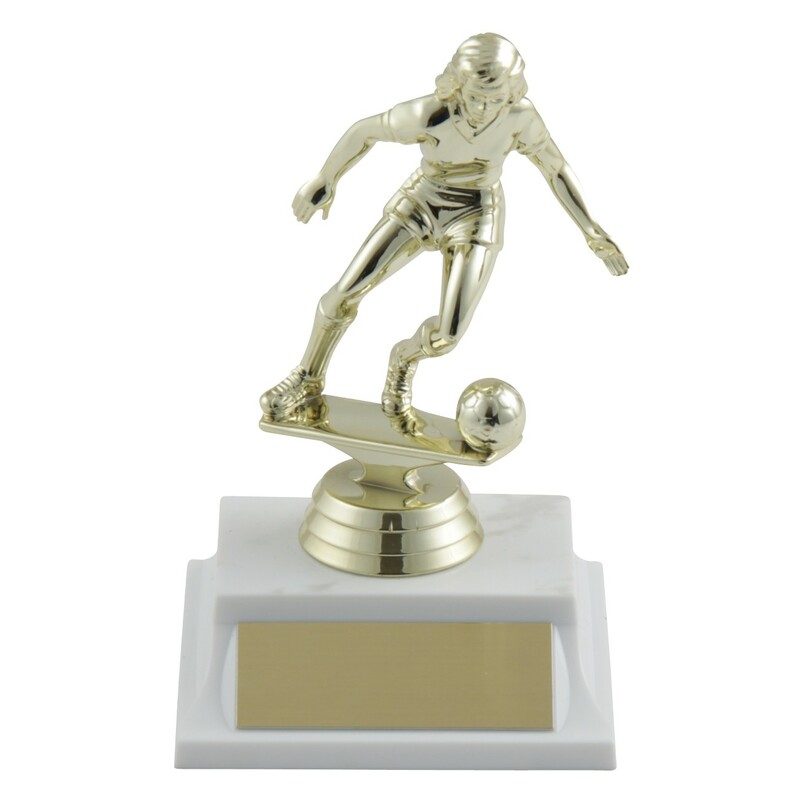 Measuring 6" tall, this trophy has a gold-colored soccer figure in a defensive pose, attached to your choice of trophy base color. 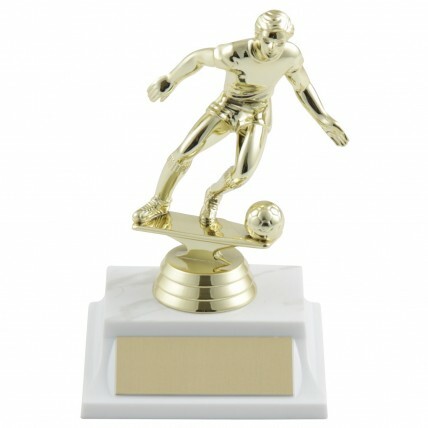 Male or female figure available.